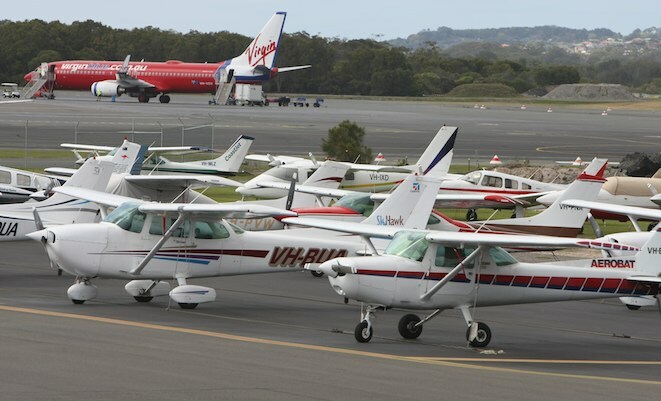 The Civil Aviation Safety Authority (CASA) has announced plans to overhaul its aviation medical requirements, allowing pilots flying commercial operations with no passengers to hold a less-restrictive Class 2 medical certificate, and private pilots flying with five or fewer passengers in VFR conditions to only hold a new aviation medical certificate that meets commercial vehicle driver standards. CASA expects thousands of pilots to potentially take advantage of the new ‘basic Class 2’ medical certificate, which will require an assessment by a general practitioner, rather than a qualified DAME (designated aviation medical examiner), using the Austroads commercial vehicle driver standards. It will be available to private pilots flying piston-powered aircraft carrying up to five non fare-paying passengers, with operations limited to the daytime visual flight rules but permitted in all classes of airspace. The new basic Class 2 medical will be valid for a maximum of five years up to the age of 40 and a maximum of two years above the age of 40, CASA says. But private pilots flying aircraft with a max takeoff weight of up to 8,618kg with a maximum of nine non fare-paying passengers, and pilots flying aerobatics, will still be required to hold an unrestricted Class 2 medical certificate. Meanwhile, pilots flying commercial operations without passengers, such as aerial agriculture and flying training, will now only need to hold a Class 2 medical certificate, rather than the more restrictive Class 1 certificate. “We have initially focussed on changes that benefit general aviation because this sector has been telling us the current medical certification system was causing real difficulties,” CASA’s CEO and Director of Aviation Safety, Shane Carmody, said of the changes in a statement on Friday. CASA says the aviation medical certification reforms will be “progressively” introduced during 2018. “CASA will now continue to review the aviation medical system to identify possible improvements in areas such as using medical data more effectively, further streamlining processes, further reducing CASA involvement in medicals and harmonising with global best practices,” Carmody said. At least Shane Carmody got them off their bums to make a decision but when are we going to get the facts instead of being “drip fed”. Will a GP be able to issue a Basic Class 2 to the likes of me whose current class 2 is subject to AVMED audit? The whole thing should have been done by an external organisation. Harold, GPs will issue the new basic class 2 medical to the Austroads commercial vehicle drivers licence standard. CASA AVMED will not review these medicals. If you meet the Austroads standard the GP will issue the medical. No CASA medical involvement. All CASA will do is collect the basic class 2 data from the GPs and hold it with your licence details. All you’ll do is keep the GP issued medical certificate with your licence. Thanks for clarification Peter. This is definitely an improvement. Thanks Peter but are the full details currently available and if so where?